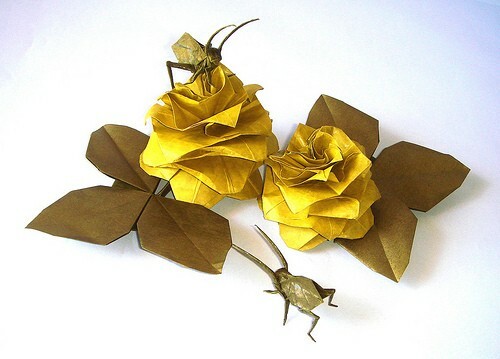 My first attempt to the "Miura-ken beauty rose" from Robert J. Lang - Leaves from Toshikazu Kawasaki and Leaf KatyDids by Brian Chan, Composition folded by me - Hope you like it. An early iteration of this design used a crease pattern reminiscent of Koryo Miura's "Miura-ori" solar panel, inspiring the name. Страница сгенерирована за 0.030550956726074 секунд!